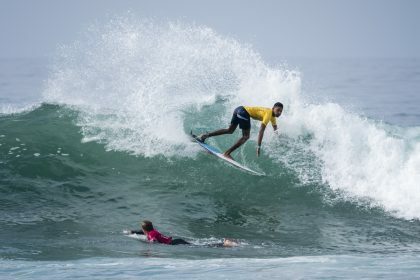 The International Surfing Association (ISA) is proud to announce that the surf brand, VISSLA, has renewed its multi-year partnership with the ISA as the Title Sponsor of the World Junior Surfing Championship for three more years through 2020. 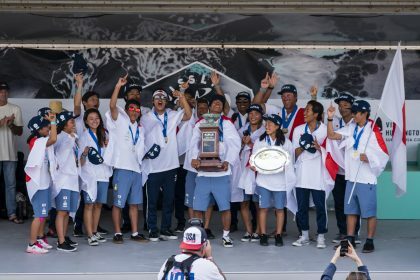 As the Title Sponsor of the event since 2014, VISSLA has committed to continuing their role as the lead supporter of the World Championship, once more highlighting their dedication to the ISA mission and to developing the future generation of surfers ahead of the sport’s Olympic debut at Tokyo 2020. 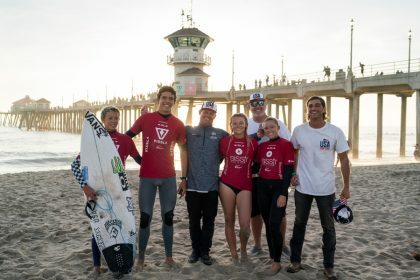 In addition to VISSLA renewing their role in the event, the ISA has today announced that Huntington Beach, California, will host the 2018 edition from October 27 to November 4. The VISSLA ISA World Junior Surfing Championship is the largest junior Surfing competition in the world, with the 2017 edition in Hyuga, Japan hosting 306 surfers from a record-breaking 41 nations across all continents of the globe. Previous editions of the event were held in Azores, Portugal (2016), Oceanside, California, USA, (2015) and Salinas, Ecuador (2014). The 2018 event will make history as the first edition to feature gender equality, offering equal slots for boys and girls on each team. Each country will be able to field up to three boys and three girls in U-16 and U-18 Divisions – a maximum of twelve athletes per team – highlighting the ISA’s dedication to promoting gender equality across all disciplines of Surfing. Huntington Beach, host to numerous elite Surfing competitions, such as the Vans US Open of Surfing, will host an ISA World Championship for the first time in over a decade. The 2018 VISSLA ISA World Juniors will be the fifth ISA Global Event held in California’s ‘Surf City USA’ after the city hosted three editions of the ISA World Surfing Games in 2006, 1996, and 1984 as well as the ISA World Juniors in 2005. The 1996 edition of the ISA World Surfing Games in Huntington Beach was considered a landmark moment for Surfing as a record-breaking 513 athletes across the Shortboard, Longboard, Junior, and Bodyboard Divisions came from around the world to compete. Many future legends of the sport competed, such as Taylor Knox, Sofia Mulanovich, Andy and Bruce Irons, Damien Hobgood, and Taj Burrow. Since the inception of the Junior Division in the ISA, the event has been a glimpse into who will become the future stars of the sport. Legendary surfer Tom Curren made history and jump-started his career as the first ISA Junior Champion in 1980. Past and current stars followed in his footsteps, including Gabriel Medina, Julian Wilson, Jordy Smith, Filipe Toledo, Owen Wright, Leonardo Fioravanti, Stephanie Gilmore, Sally Fitzgibbons, Laura Enever, Tatiana Weston-Webb, and Tyler Wright. Initially held as a division in the ISA World Surfing Games, the ISA World Junior Surfing Championship became a standalone event in 2003 and has been held annually ever since. “We look forward to working with Vissla and their team to build on the amazing foundation they have helped us create in the ISA World Juniors. Together we are shaping the future generation of Surfing by providing a platform for the world’s best to put their talent on display in competition. Visit Huntington Beach is the official destination marketing organization of Huntington Beach, Surf City USA®. One of Southern California’s premier beach and surf destinations, Huntington Beach is the ideal location for a California family vacation, active outdoor sports and adventure trip or relaxing weekend getaway. With 10 miles/ 16 kilometers of wide-open white sand California beaches, Huntington Beach is a destination of choice for vacationers and business travelers alike. To plan your Surf City USA® vacation, or to learn more about Huntington Beach, see the Visit Huntington Beach website at www.surfcityusa.com, go to #SurfCityUSA or @HBSurfCityUSA, or call 1-800-729-6232 for a free Visitors Guide.